This voice puts you in the mood for dreaming. This sound lets you melt away longingly. The highly gifted Singer, Pianist and Songwriter Svenja Schmidt captures her audience immediately with her soul and her charismatic aura. She really „absorbed the groove with the mother´s milk“ right from the beginning, because she comes from a family of musicians. Grown up as a daughter of a rhythm&blues guitarist and singer (father) and a classical pianist (mother), she is performing as a professional singer and pianist around the whole world since 2001. Svenja solidified her ability temporary in a music study at the College of Music in Cologne, Germany, playing the piano in combination with her warm soulful great unique voice. She also has acquired her experiences by joining different Funk,Jazz/Soul and studio projects as a singer and keyboarder. Whether with her warm, smoky and soulful voice or in combination with her musicianship, playing the piano or optionally the beloved Fender Rhodes in her own style - Svenja, who is also YAMAHA endorser, has built up a reputation with a lot of solo and band gigs. Her sound and her music are significantly charcacterized by funky grooves and her charismatic voice between Soul, Jazz and Pop, inspired by here idols Stevie Wonder, Chaka Kahn,Jamiroquai and Incognito and Alicia Keys, to name a few..
She also sang with the „Stars on 45“ on German TV (SAT1 & ZDF). In January 2012 Svenja won a Westphalian Radiocontest with her ballad "Gonna find my way" and performed this song together with the Bielefeld Philharmonic Orchestra within the "Classic meets Pop" Event in front of 5000 spectators at the Seidenstickerhalle, Bielefeld. With her own band SMITH, founded in 2006, Svenja toured through small clubs in Russia, Czechia, Latvia, Lithuania, Hungary, Austria and Switzerland among others. 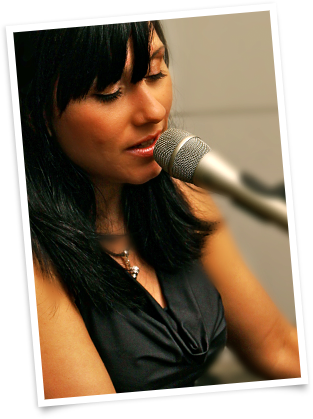 In November 2012 Svenja´s first solo album "soulchillin´" appeared. It was recorded and produced with band in the Wavehousestudios Fürth and under the direction of the well-known musicians Thilo Wolf and Beatrice Kahl. The Song "Injoy- The Future" which Svenja wrote for the well-known brand INJOY- International Fitness & Wellnessclubs can also be heard on this album. Currently she works on her first Solo album with her Band SMITH. You should convince yourself of her charme and her charisma and visit one of her live performances.